I MADE COOKIES!! Kind of. These are like “I want to be cookies when I grow up” or “I’m the healthy alternative to your cookie” or “I’m simply a substitution since my creator (ha!) doesn’t have an oven.” Take your pick. I’m going with #2, personally. 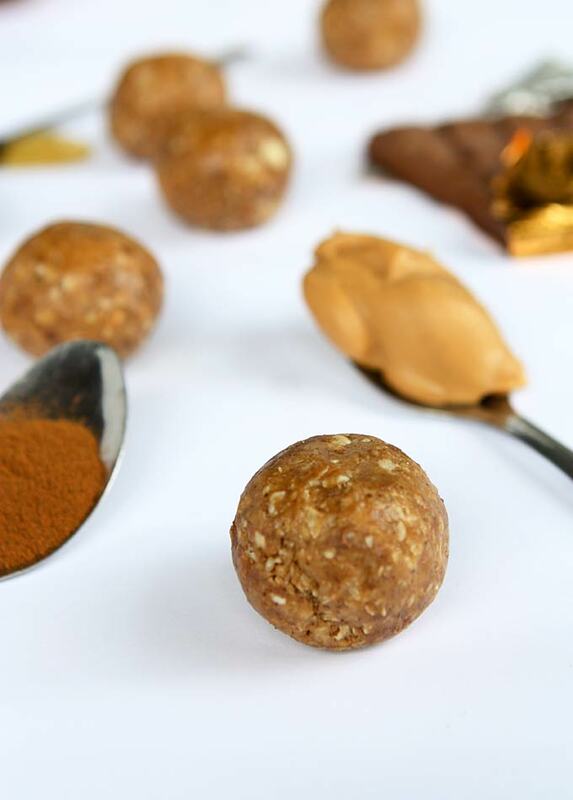 Healthier cookie balls that are full of energy and deliciousness? I’ll take it! I’ll even enjoy PEANUT BUTTER in a yummy treat — and you know that’s rare for me. The fact that these are unbaked = the only reason I like the peanut butter in them. 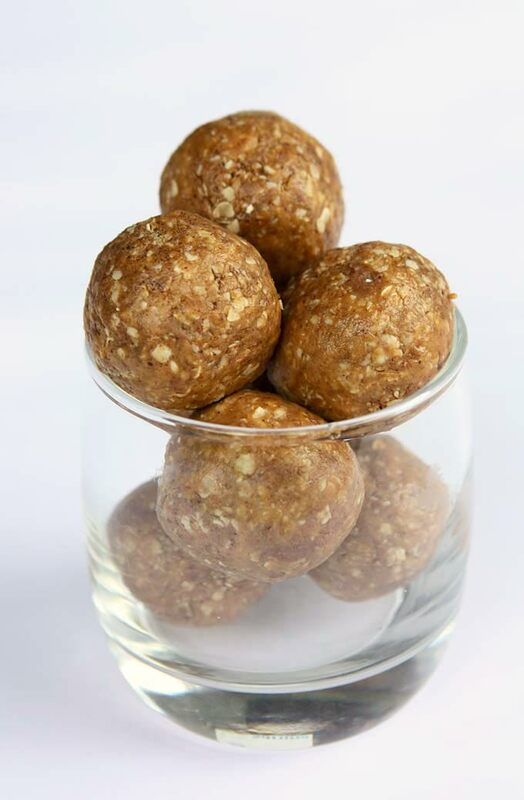 I’ve seen recipes for various “power balls” or “oat balls” or “nut balls” or “raw balls” or whatever the heck you want to call them, for years. You’d think that having written an entire book about nut butters would mean I’d made some, right? WRONG! This is my first time… and definitely not my last. Derek was already begging for more before he even finished the first batch. Yeaaah they’re that good. One of the things I’ve noticed here in Bali, in regards to our eating patterns, is that we don’t have snacks. While most of the time that’s probably a good thing, so I’m not just grabbing random snacks all day when I shouldn’t be, sometimes I really NEED a little snack between meals. I get woozy and tired and need a little pick-me-up! Usually that means making a smoothie, but sometimes I need a little more substance. POWERBALLS TO THE RESCUE! These suckers take about .2 minutes to mix up (exaggerate much? sorry! it’s really more like 3 minutes. seriously), and you don’t even need to let them chill. Mine were firm from the get-go! 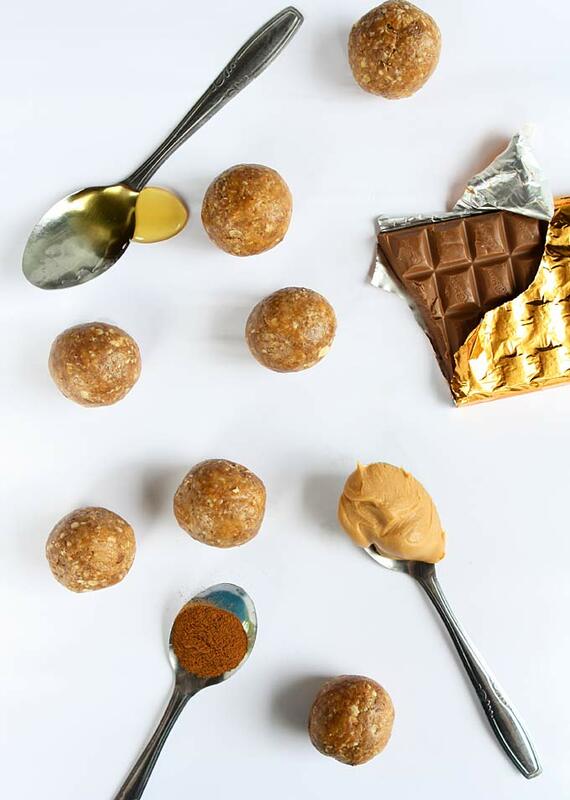 Had I more superfoods (like chia and flax) I would add those too, but I kept these super simple: peanut butter, honey, oats, maca, salt, cinnamon, and a *little* bit of chocolate. You can play around here all you want, and add all sorts of crazy things! Roll these in birdseed! By birdseed I mean mixed seeds that humans eat (sesame, sunflower, pumpkin, etc.). Roll them in cocoa powder! Add some chopped nuts! DO WHATEVER YOU WANT! You know I’m fully supportive of your personal creative expression! I also thought these might come in handy at a time when you might be stuffing your face with sugary cookie dough and perhaps looking for an equally-tasty and supremely-healthier snack option. These’ll keep you going so you can make cookies like a PRO. Gingerbread men, anyone? I want some TOFFEE COOKIES! Oooh we can’t go down this road, or I’ll blabber on about my favorite Christmas cookies for the next two months. 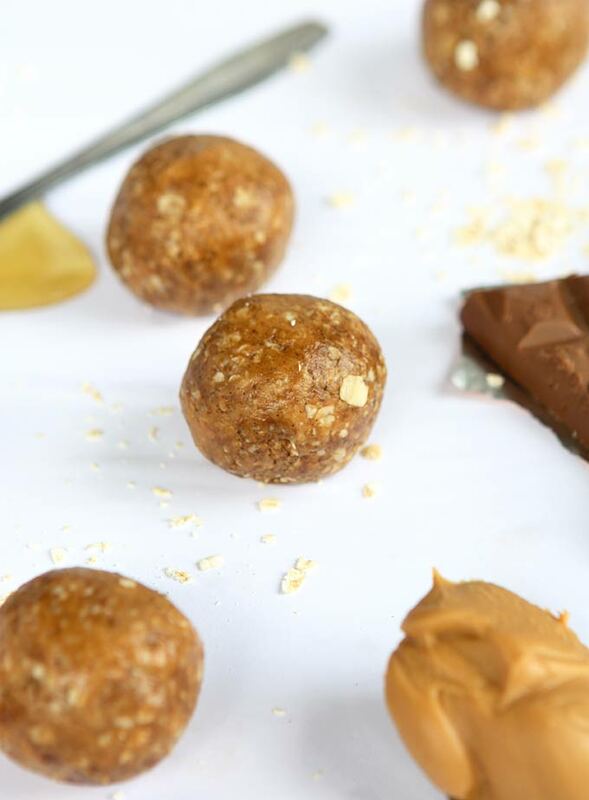 Just do yourself a favor and make some peanut butter power balls! 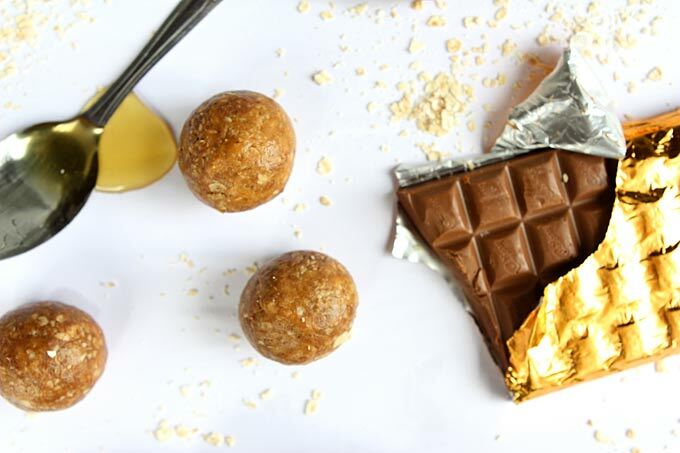 Mix together the first five ingredients, then add the peanut butter and honey. Stir with a wooden spoon until everything is mixed together and forms a hard “dough” that isn’t sticky. If you need to, add more oats. Roll the dough into small balls, and refrigerate in an airtight container. Ha! YES POLLY POCKETS! Man, I loved those things. I’m trying to imagine these with milk powder… were they creamier!? Sounds good, whatever it was! Have made this twice now, and they’re Matt and Annabelle approved! 🙂 Thanks, Mary – they especially make great post-baby snacks. Yaay! Thanks, Anne! Congratulations on shawbaby #2 — he is perfect!